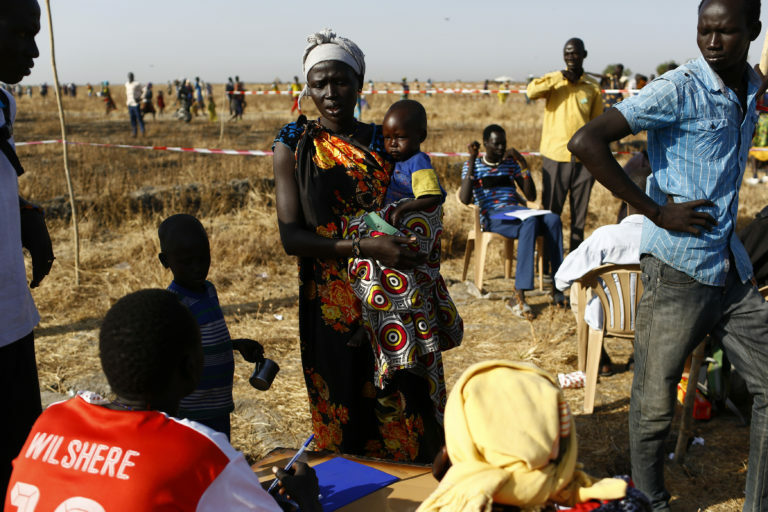 Rapid Response Missions are vital in emergency situations like South Sudan, where ongoing conflict has displaced millions of people from their homes. 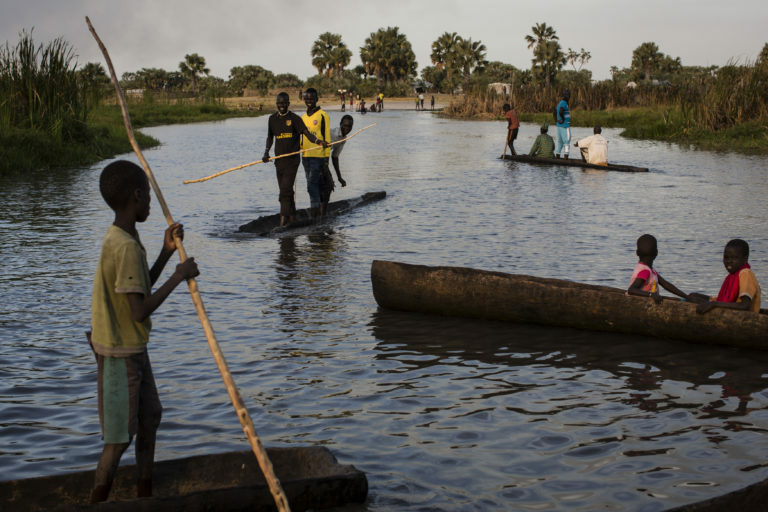 Displacement has left people scattered across the country in far flung locations that make it difficult to reach children with vital supplies and services like clean water, sanitation, food, medicine and education. Rapid Response Missions deploy mobile teams of technical specialist to provide essential supplies for 7 to 10 days for pockets of displaced people. During the rainy season in South Sudan roads become impassable and staff must rely on helicopters to access locations where vulnerable children have been displaced. Photo; Modola, South Sudan, 2017. On a recent mission, we met Angelina (25). Her village is a two hour walk from vital health services and was attacked last August. During the attack her husband was killed and now she looks after her five children and her niece Nyalel, whose mother was kidnapped during the attack. Angelina registers for help during the rapid response mission. Photo: Modola, South Sudan, 2017. Nyalel receives emergency food supplies to help her recover. Photo: Modola, South Sudan, 2017. Nyalel was assessed by the team and provided with emergency food and medical supplies to help her recover. Without the RRM, Nyalel wouldn’t have received the lifesaving supplies she urgently needed. 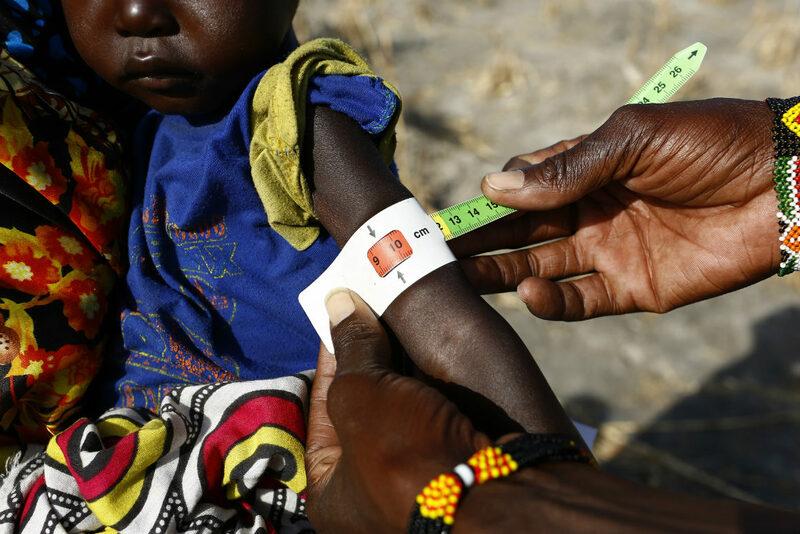 The nutritional situation is critical in South Sudan where 1 million children are now acutely malnourished. 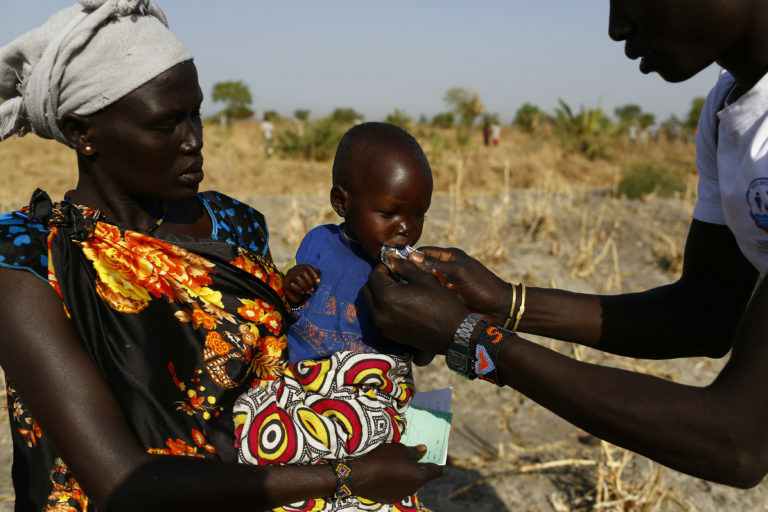 UNICEF is continuing to work with partners to deliver aid through rapid response missions. 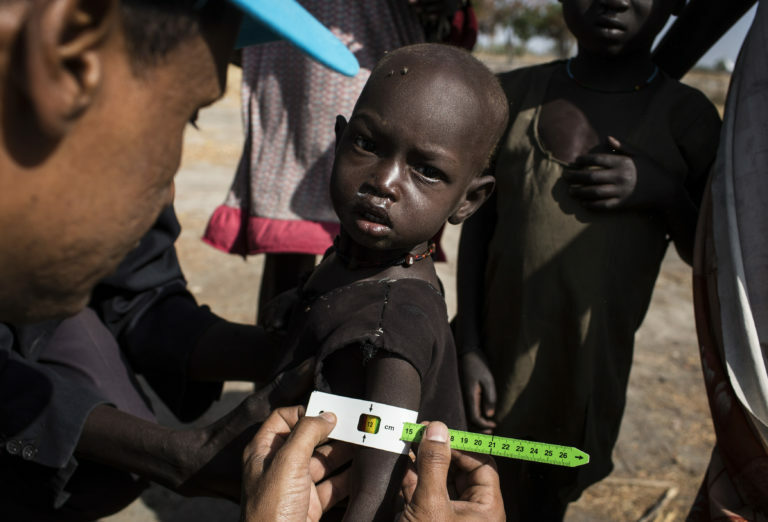 A young boy is assessed for malnutrition during the mission. Photo: Modola, South Sudan, 2017. Please donate today and help provide vital supplies to children like Nyalel.